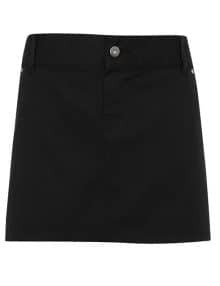 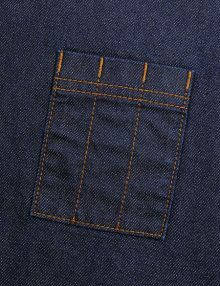 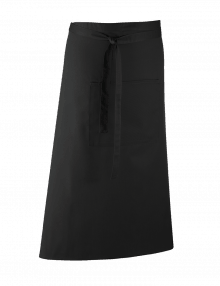 Waist aprons are sometimes called half aprons, and are fastened by tying at the waist. 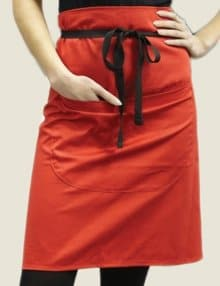 Some waist aprons have pockets for storage. 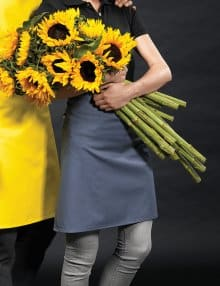 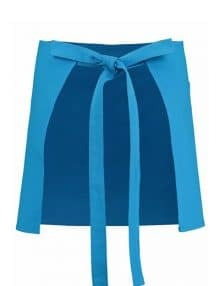 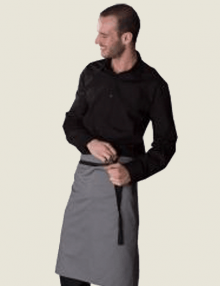 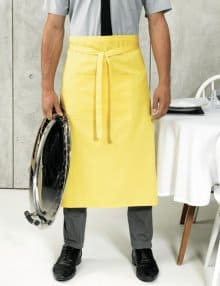 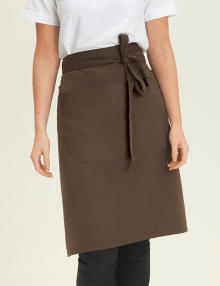 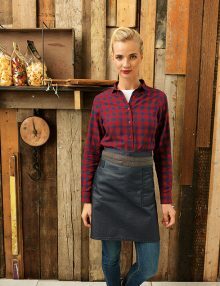 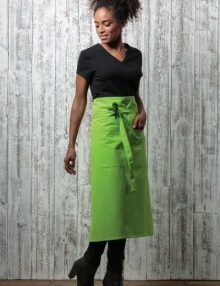 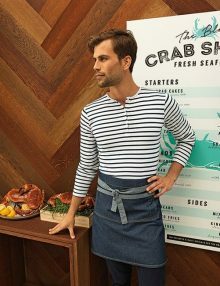 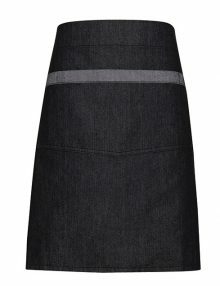 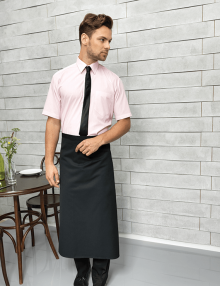 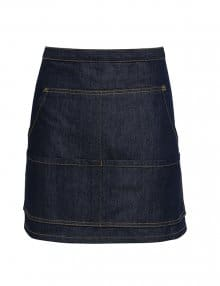 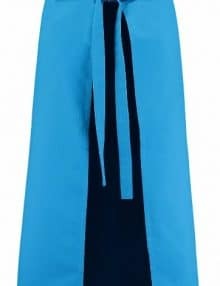 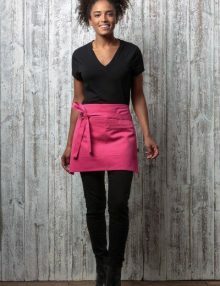 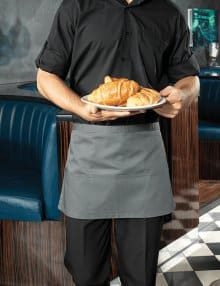 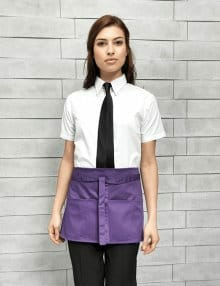 These days, a waist apron is a popular choice for the waiter or waitress, or even bar staff, who are involved in slightly less risky situations than a chef or butcher, who might want more coverage of their clothing. 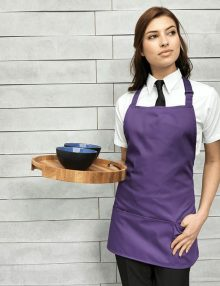 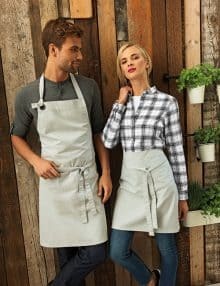 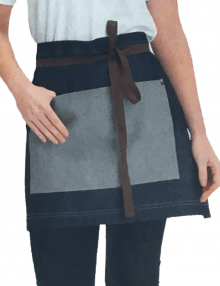 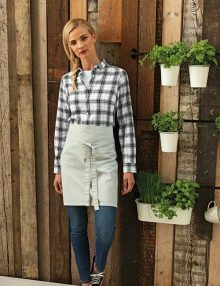 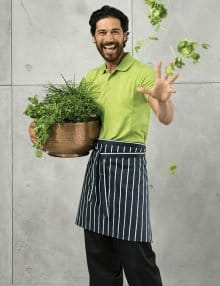 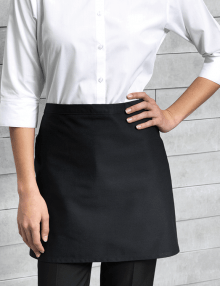 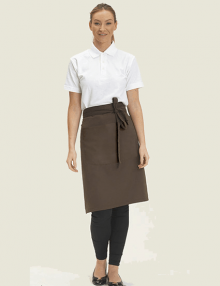 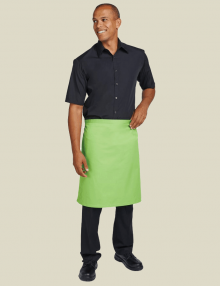 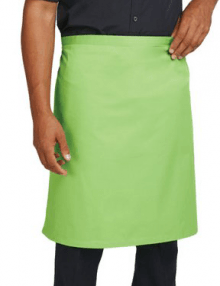 Whether you choose a traditional white waist apron or a waist apron with pockets, our short aprons give your staff a great mix of fashion and safety. 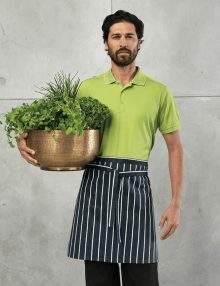 Remember that BANKSFORD stock a great range of colours and styles, and we can personalise them with a company logo or promotional message for your business.